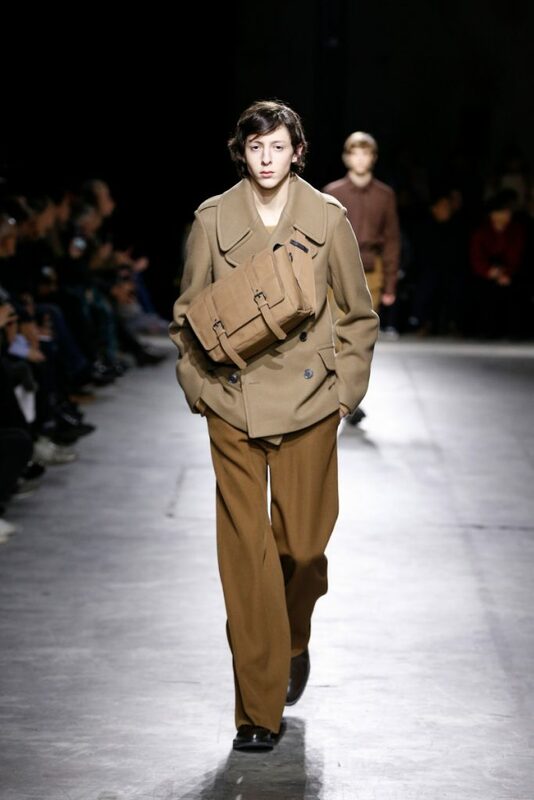 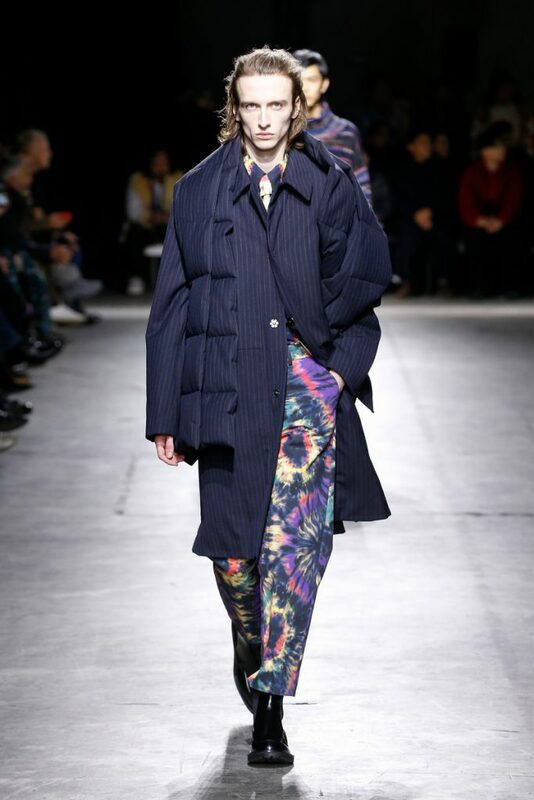 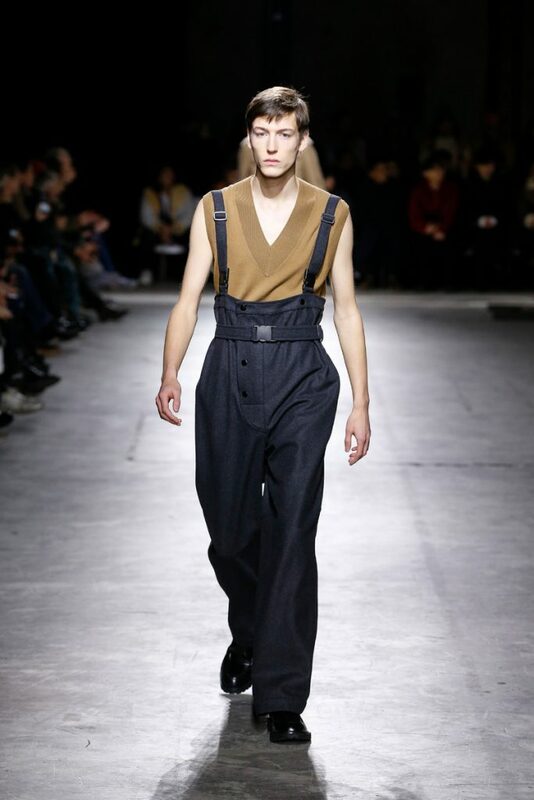 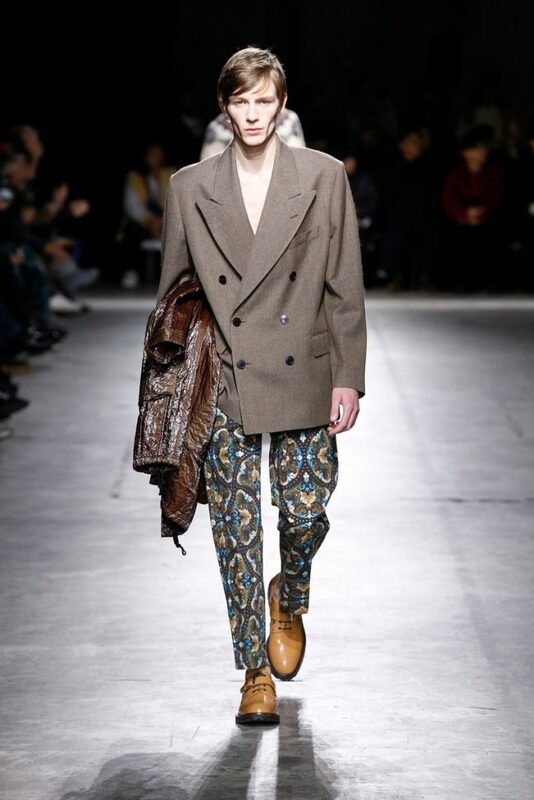 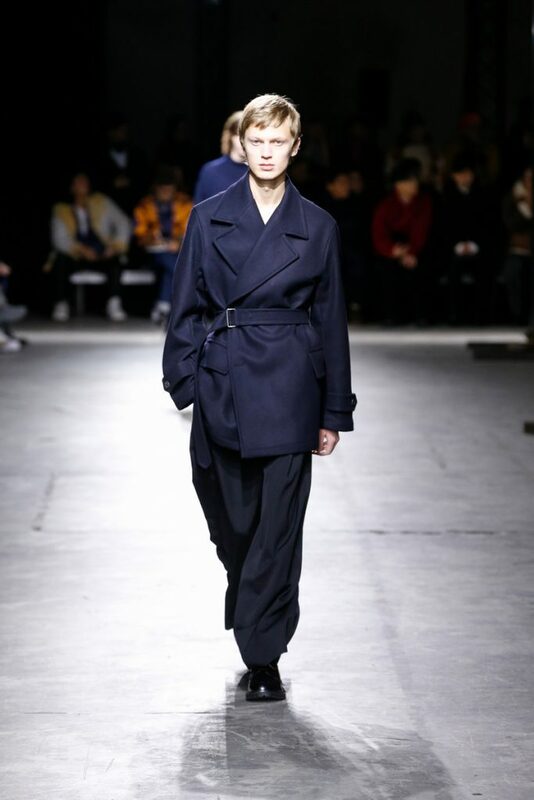 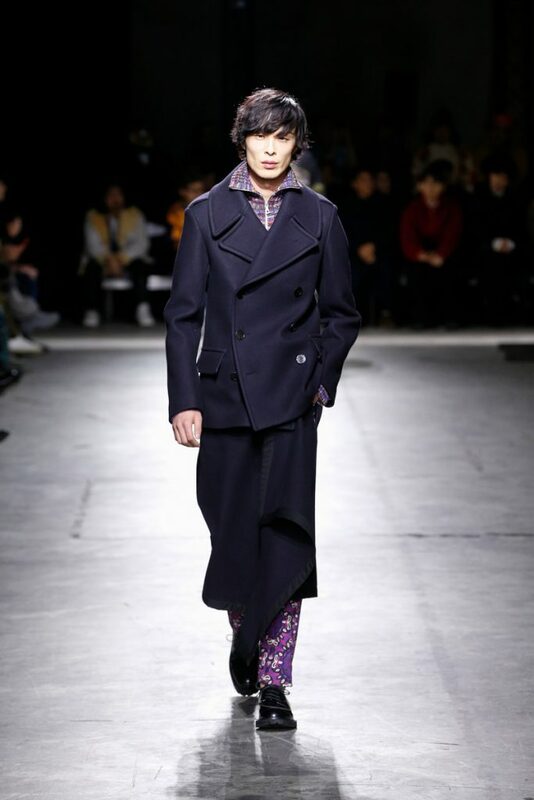 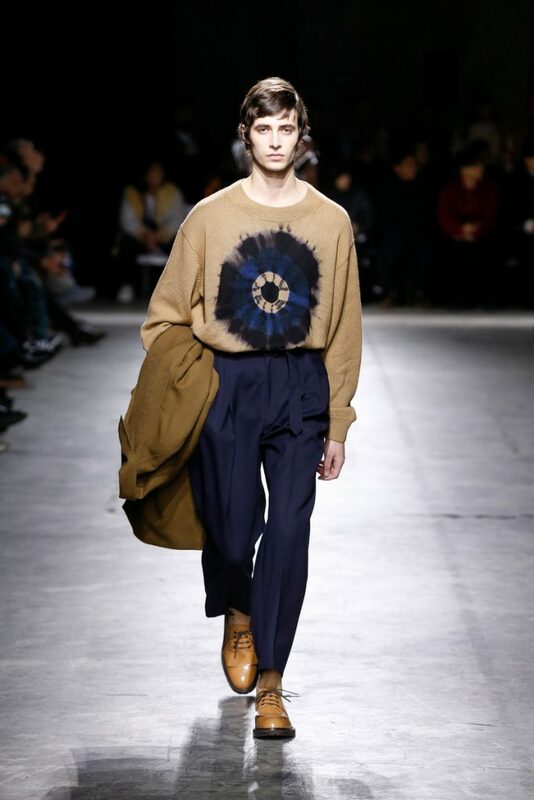 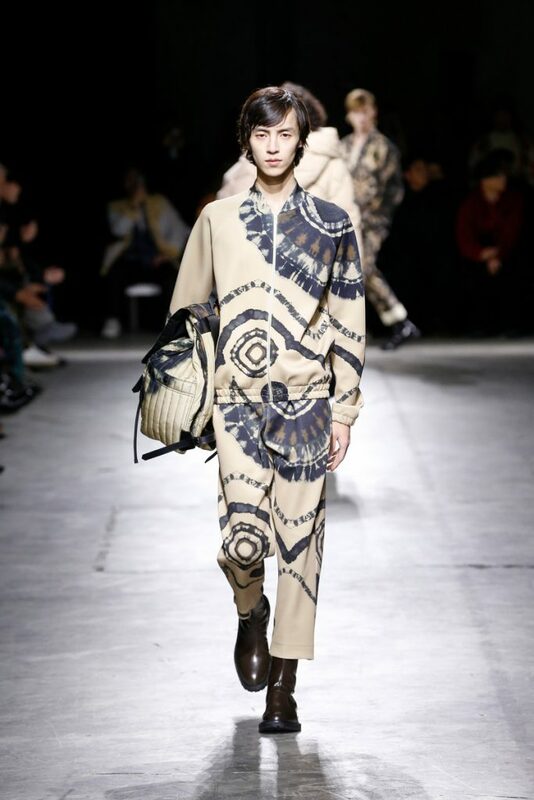 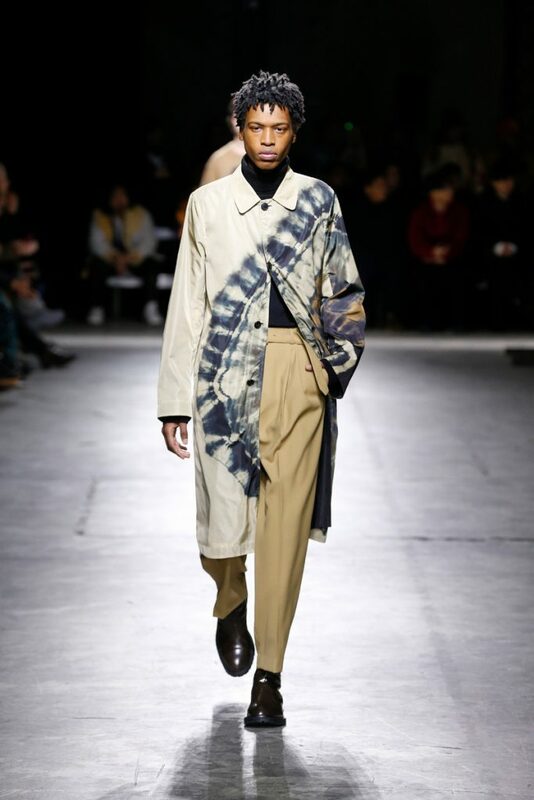 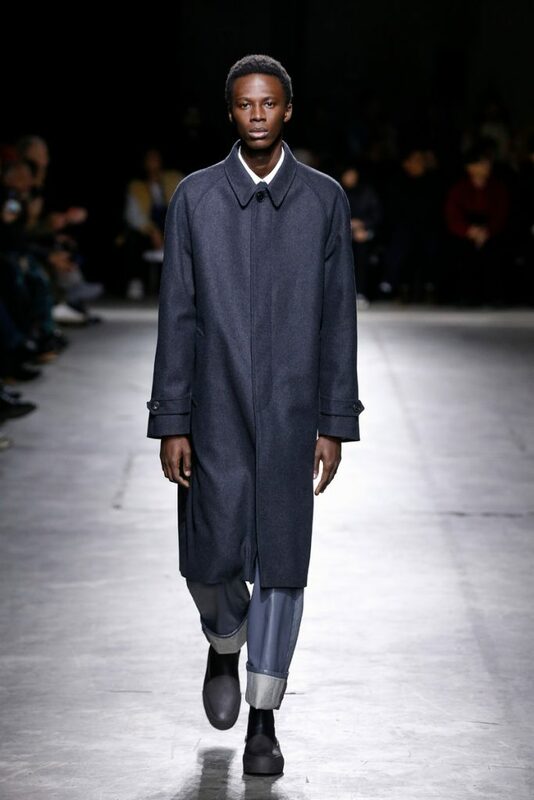 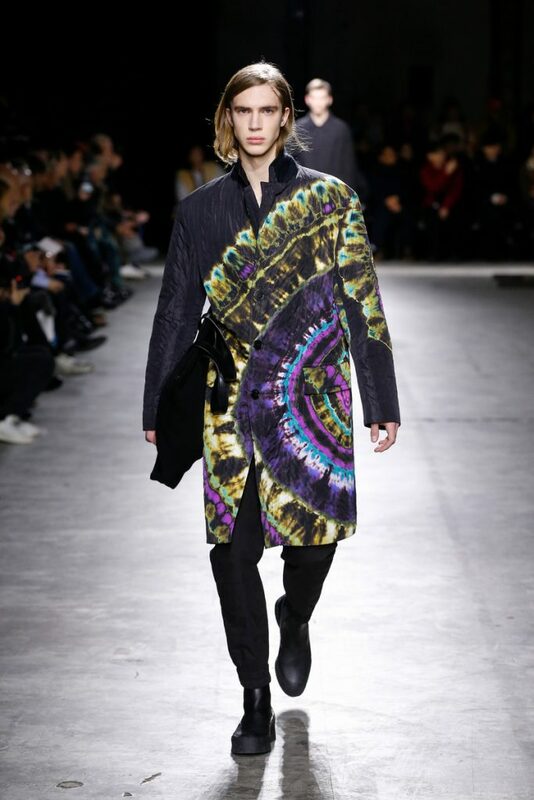 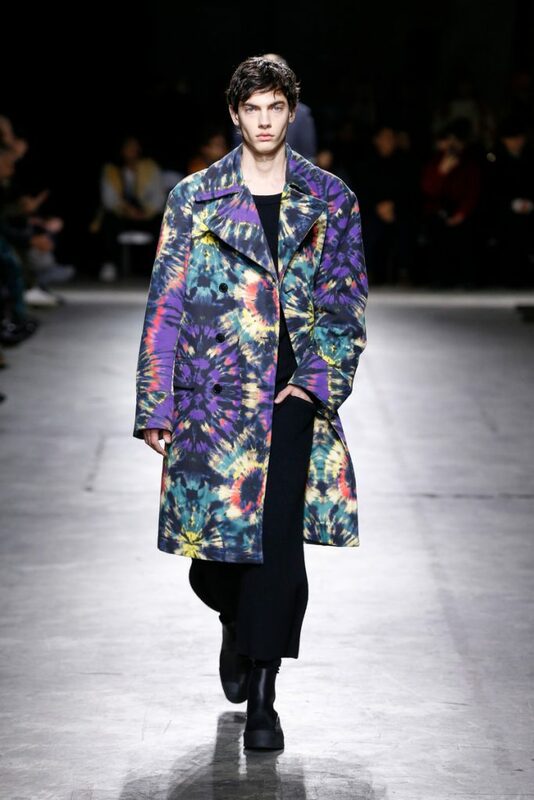 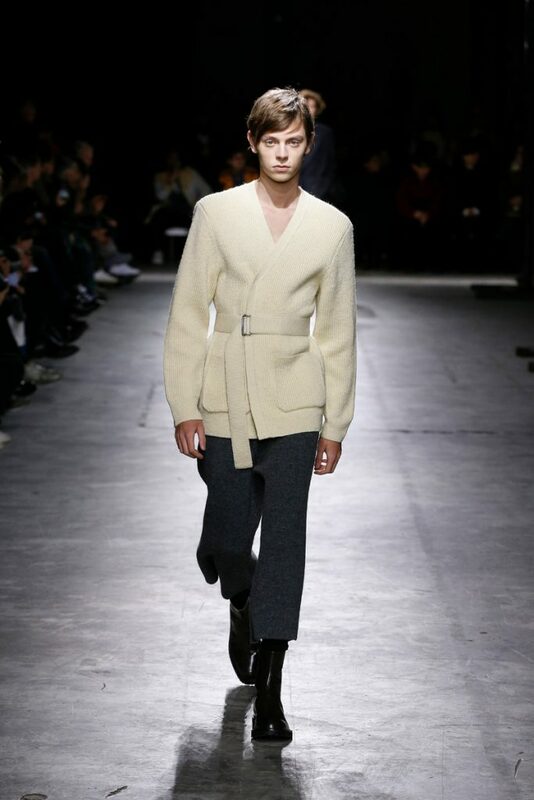 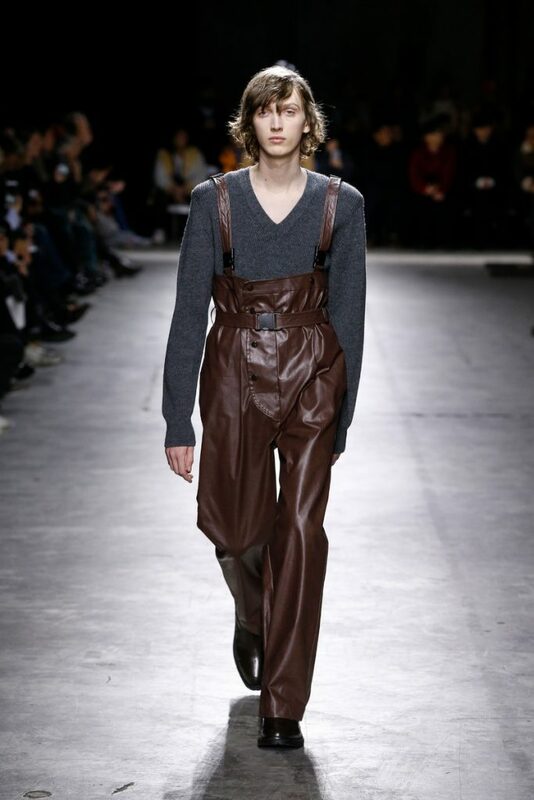 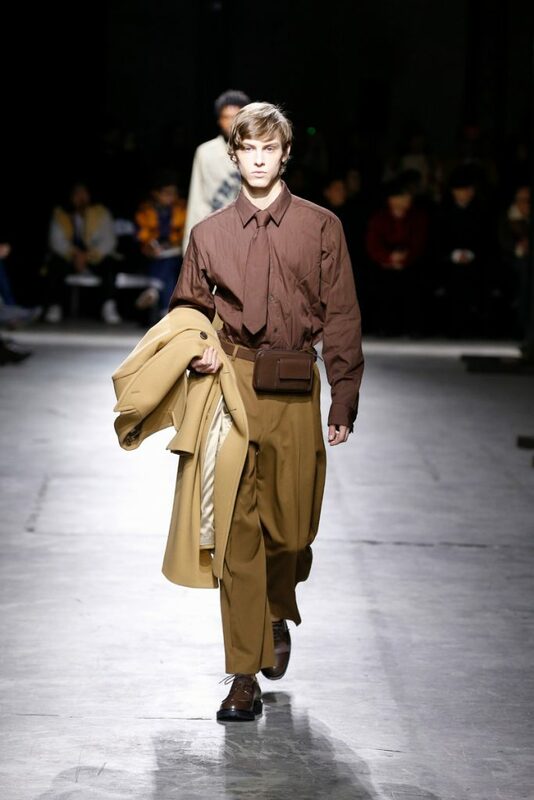 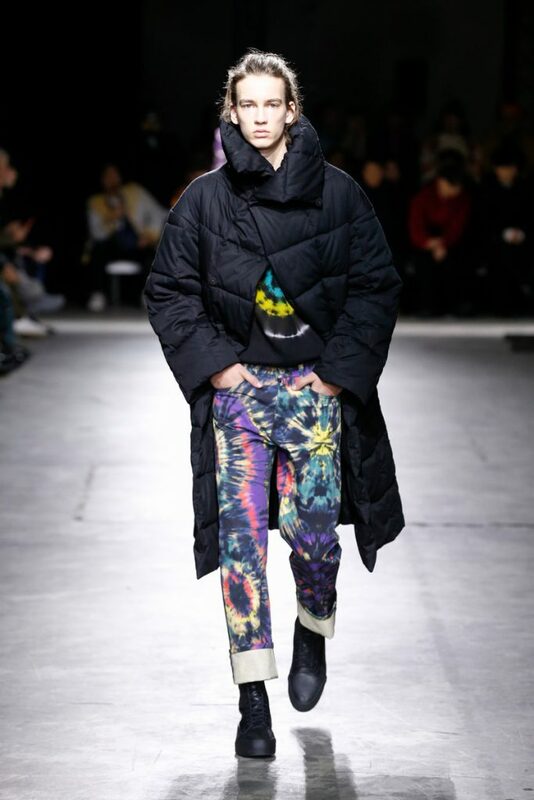 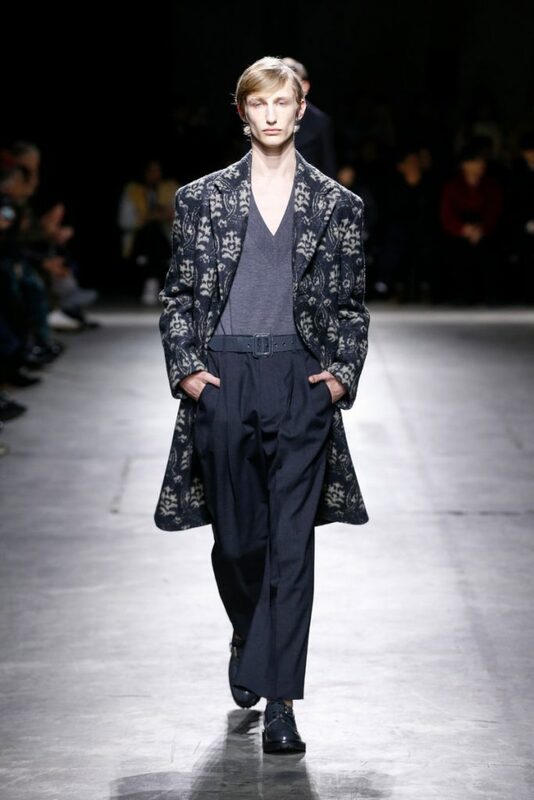 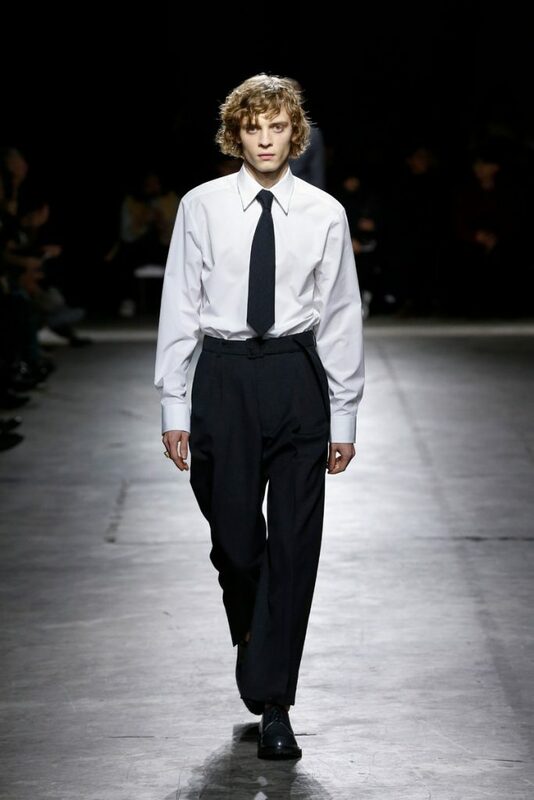 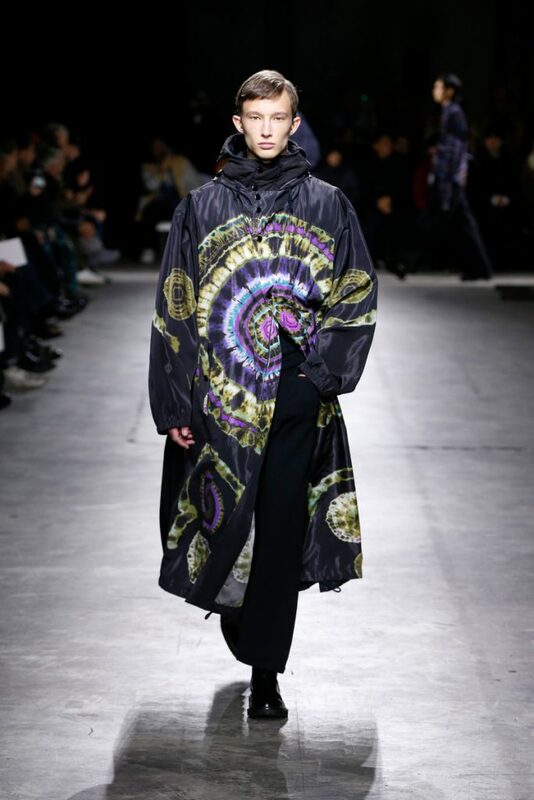 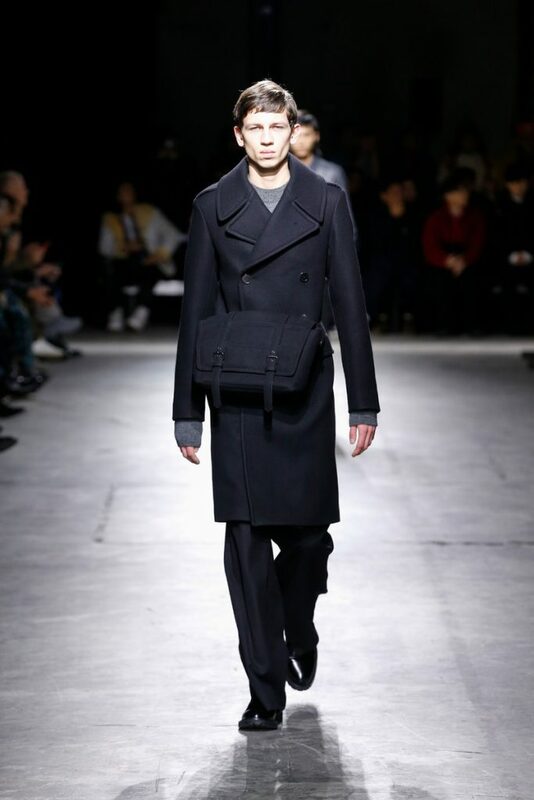 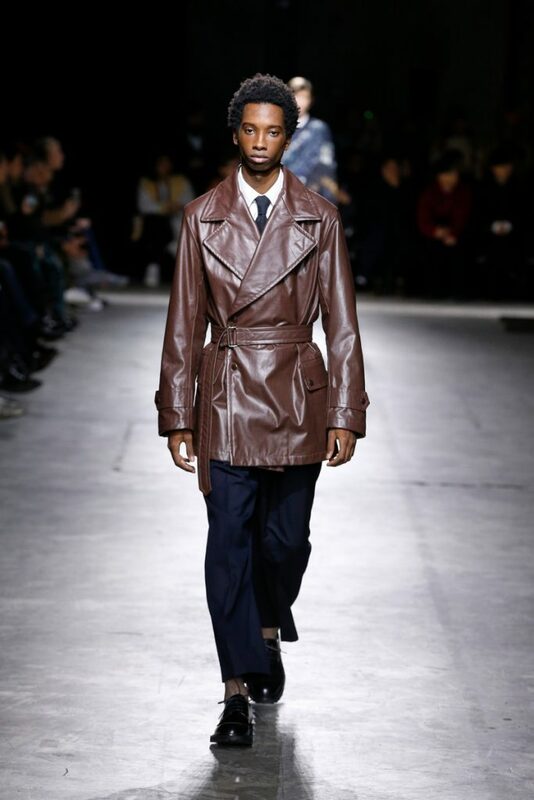 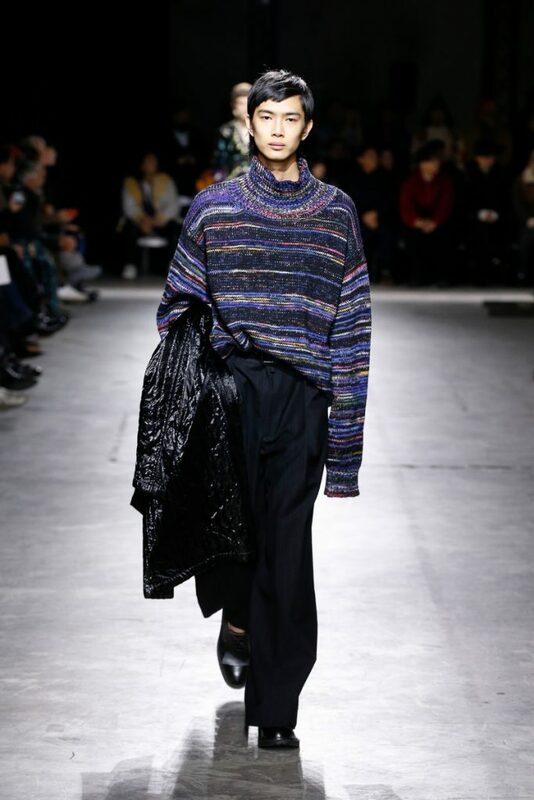 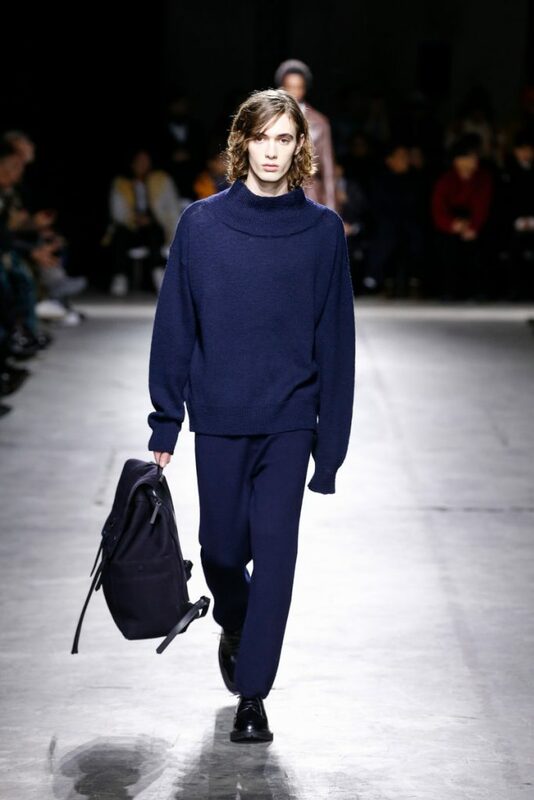 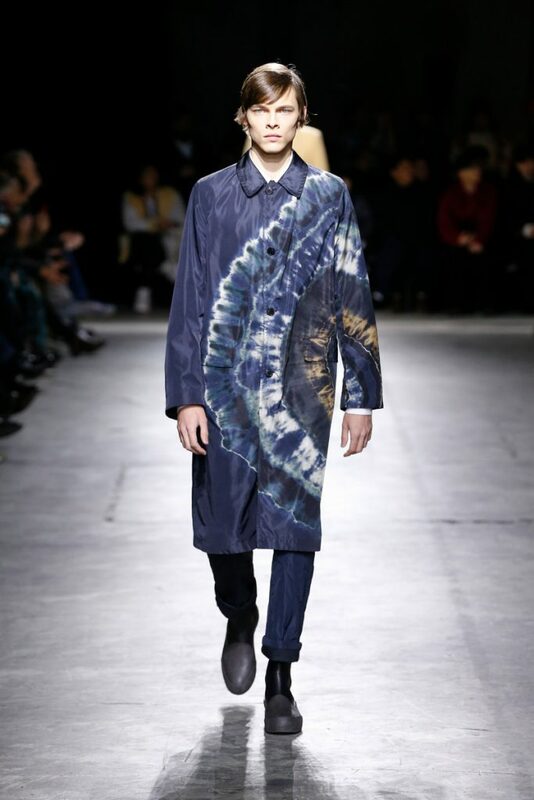 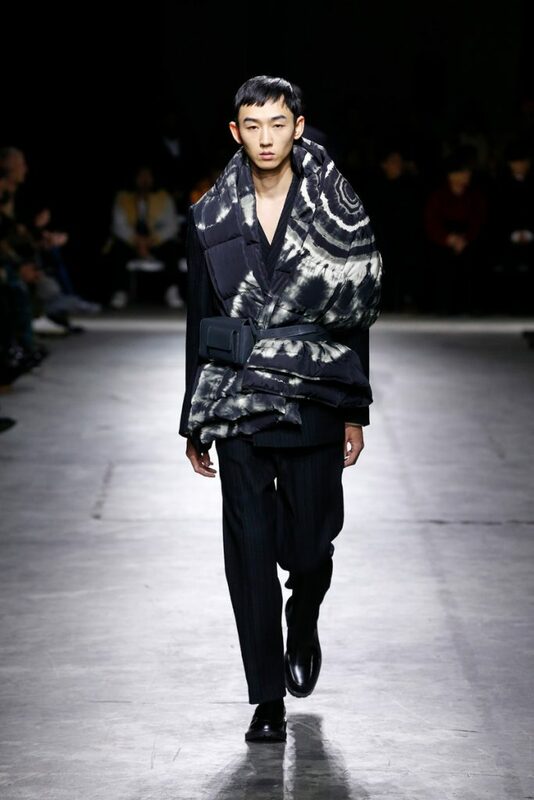 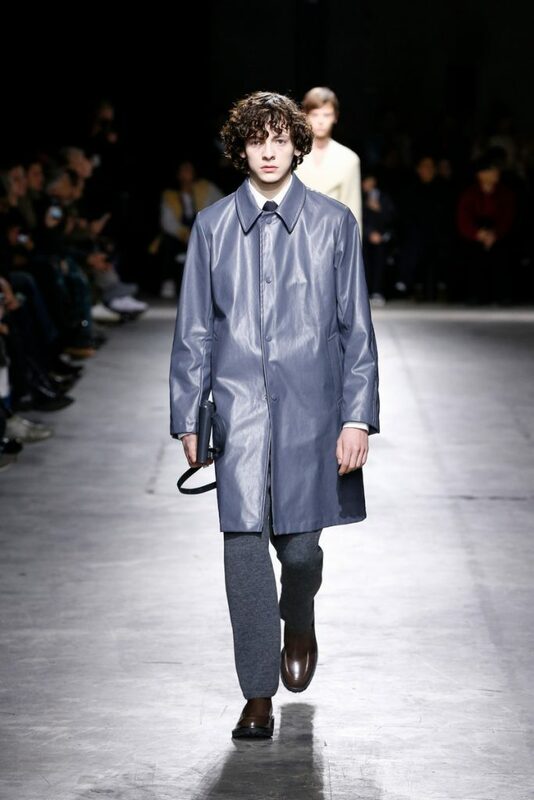 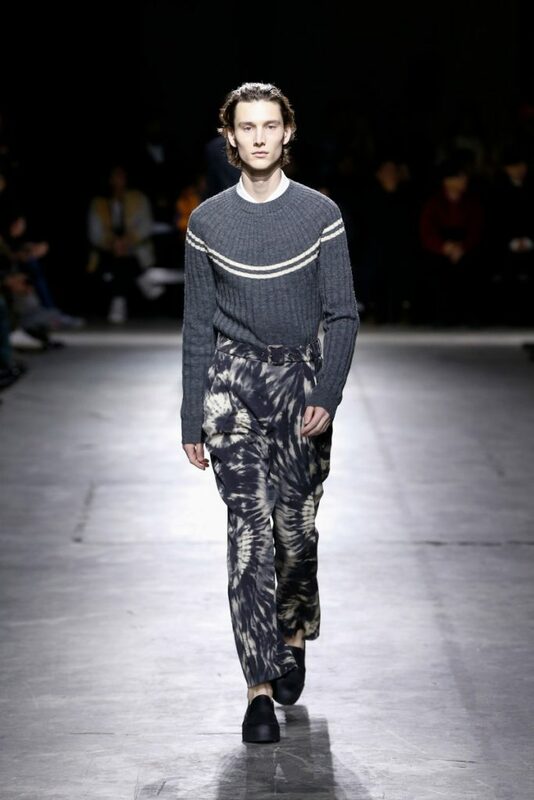 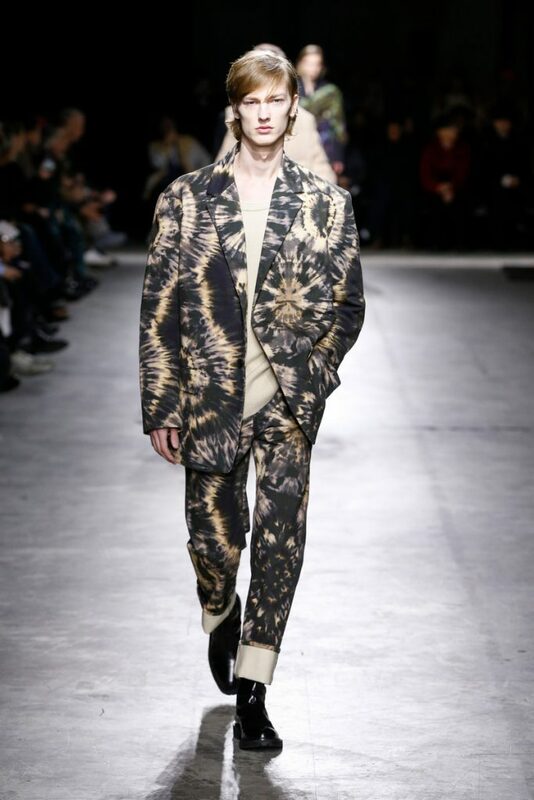 Instead of show music we listened to Dries van Noten’s heroes. 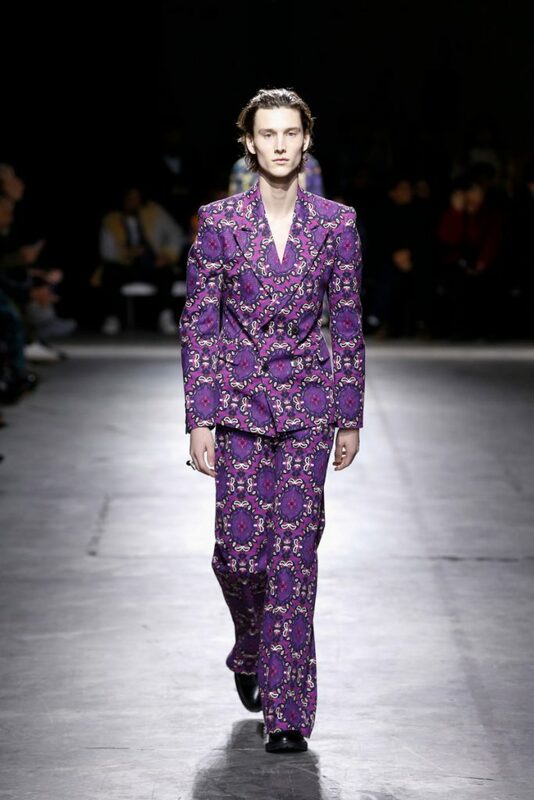 David Bowie, Andy Warhol, Yves Saint Laurent, David Hockney, Kurt Cobain and John Lennon all had their say during the show. 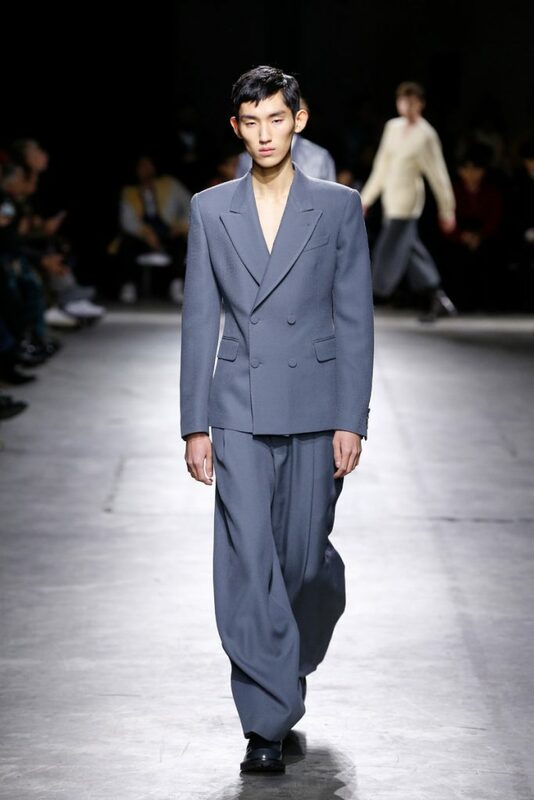 A show that spoke of suits more than sportswear. 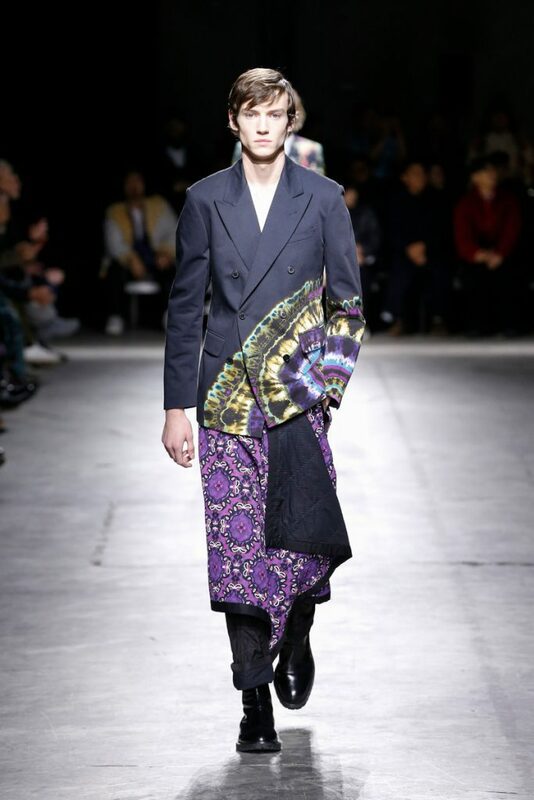 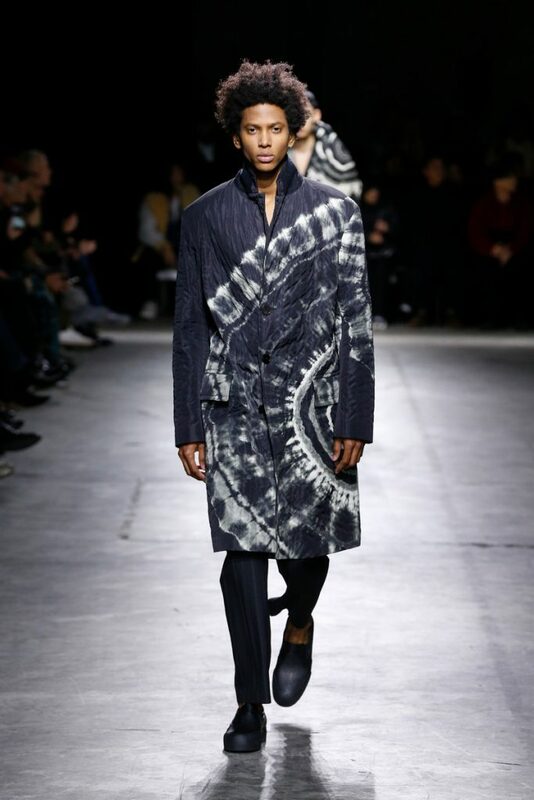 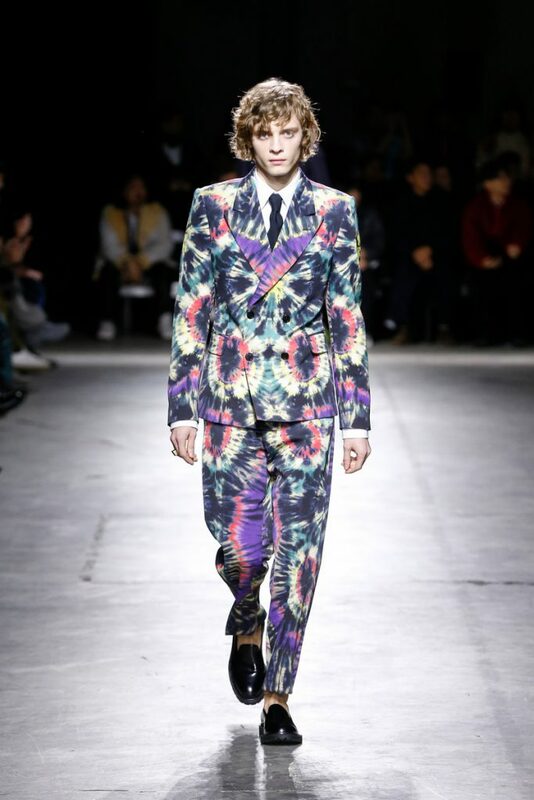 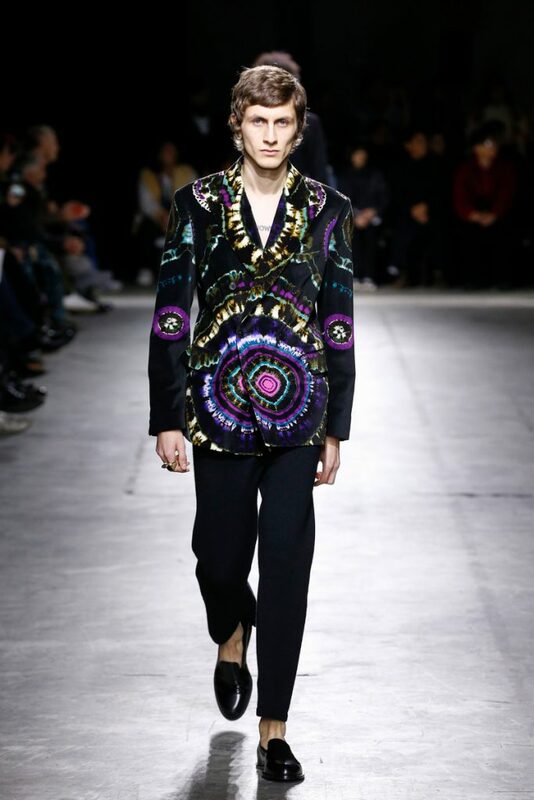 Black suits, brown suits, pinstriped suits, heavy printed (a type of psychedelic, tie die print) purple suits. 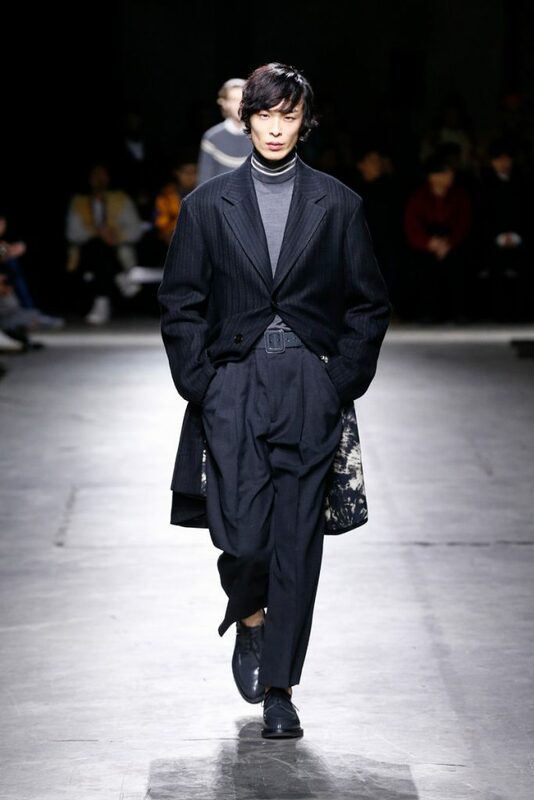 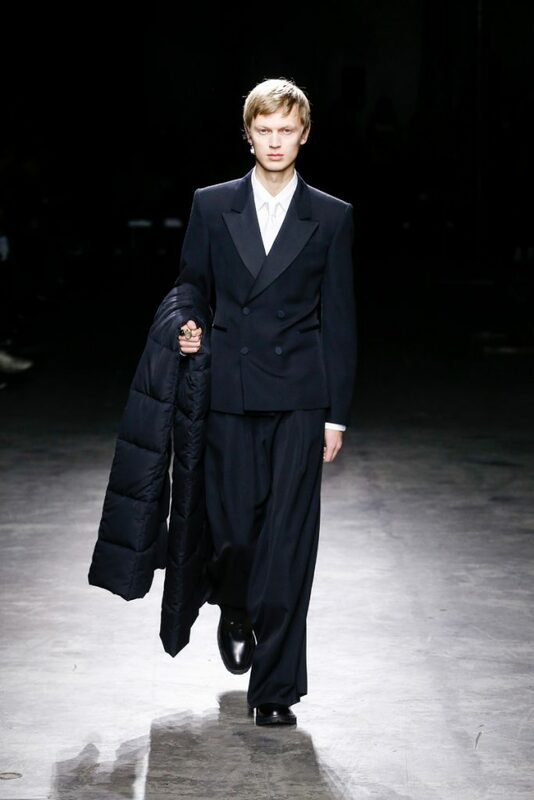 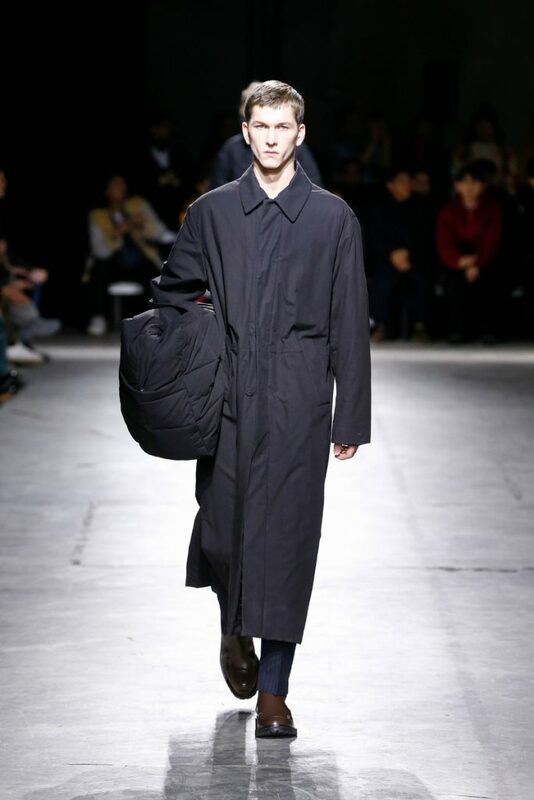 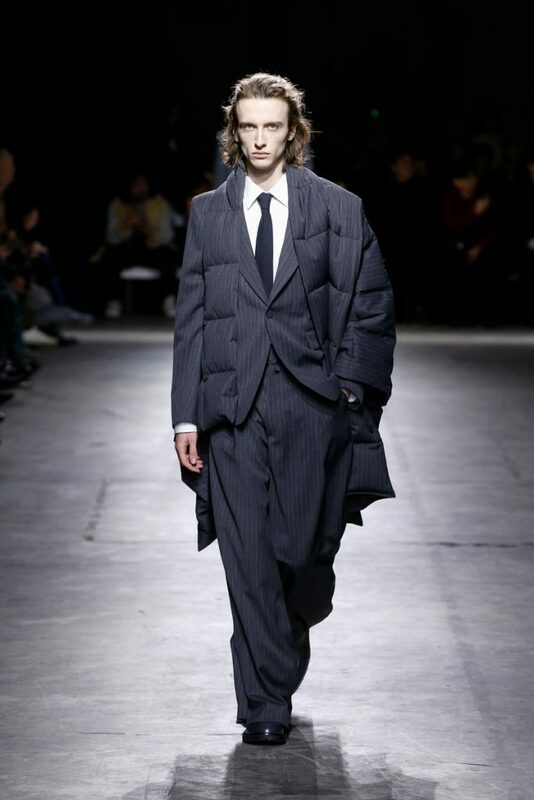 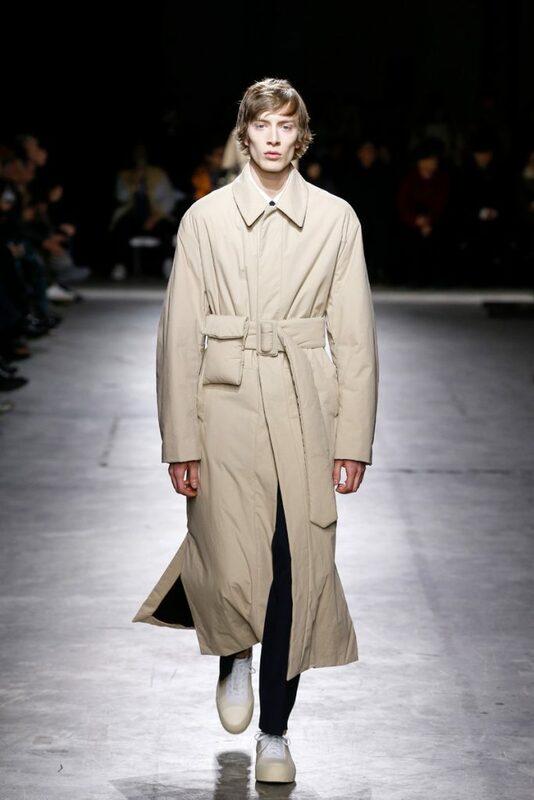 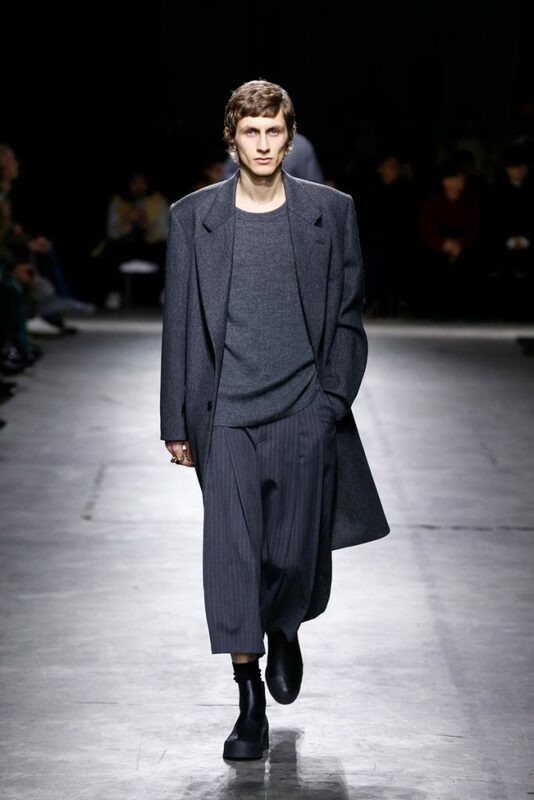 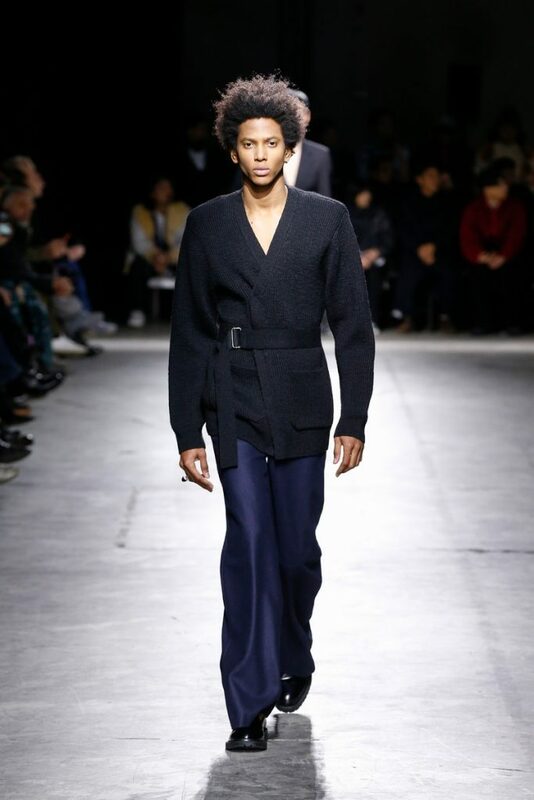 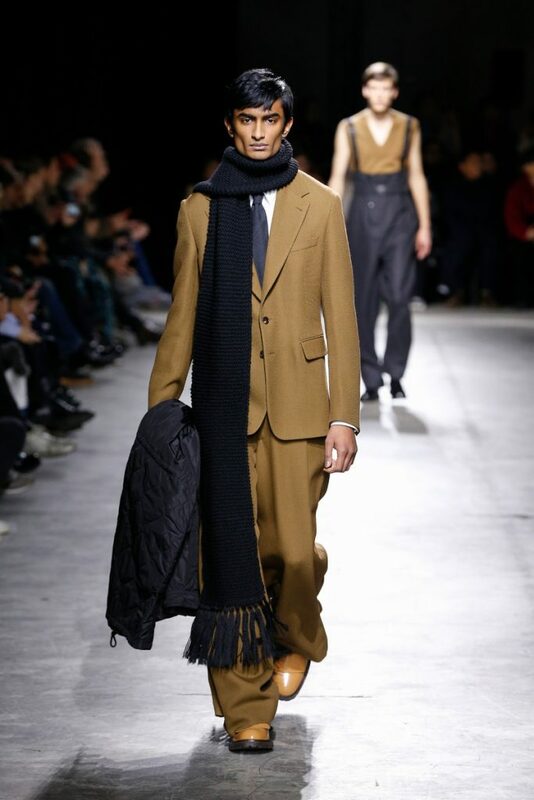 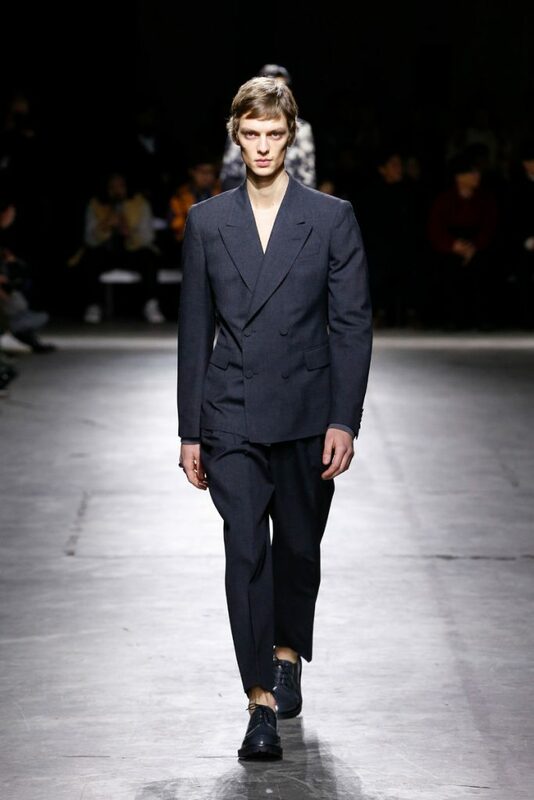 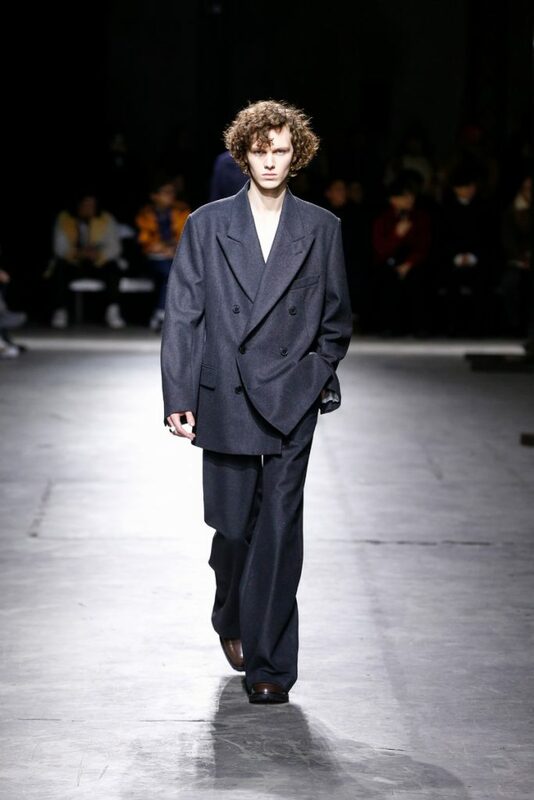 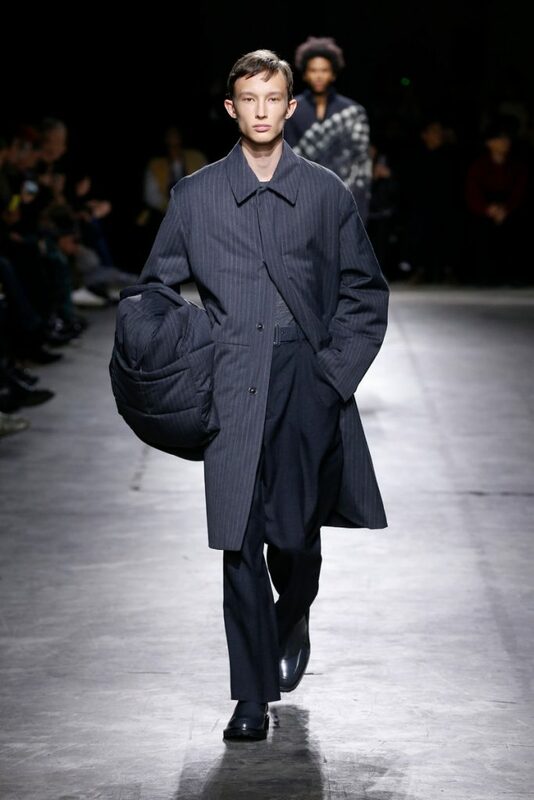 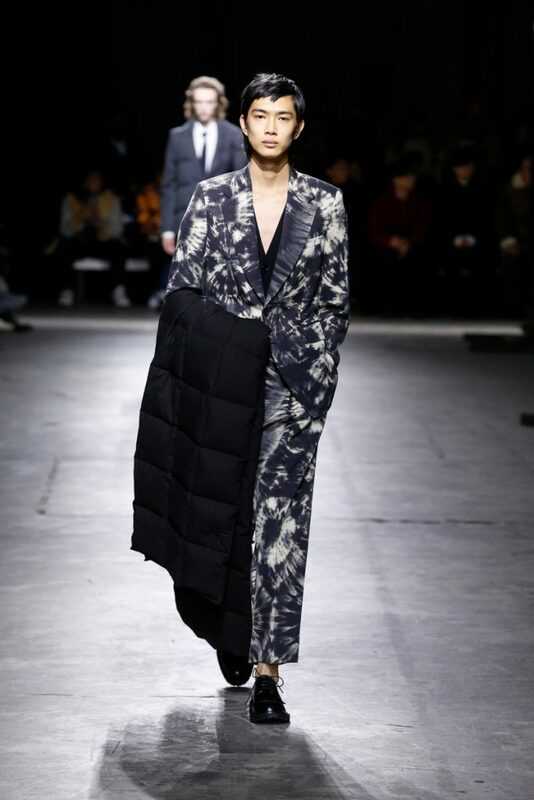 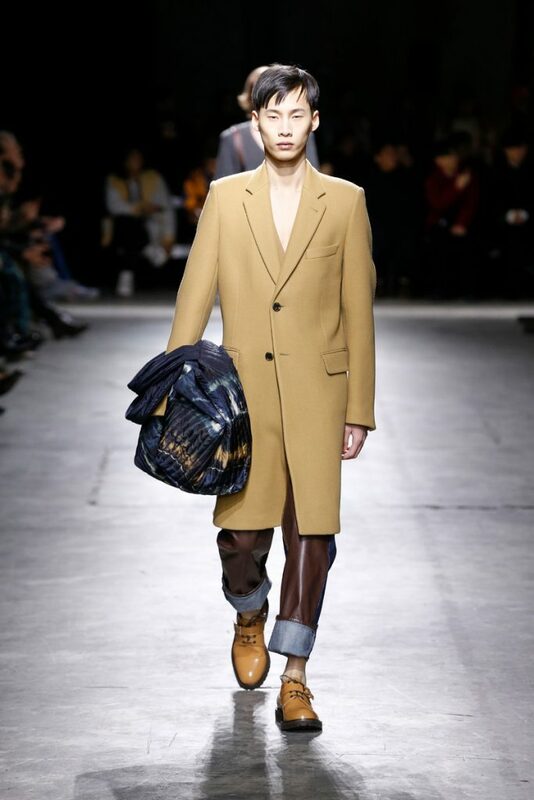 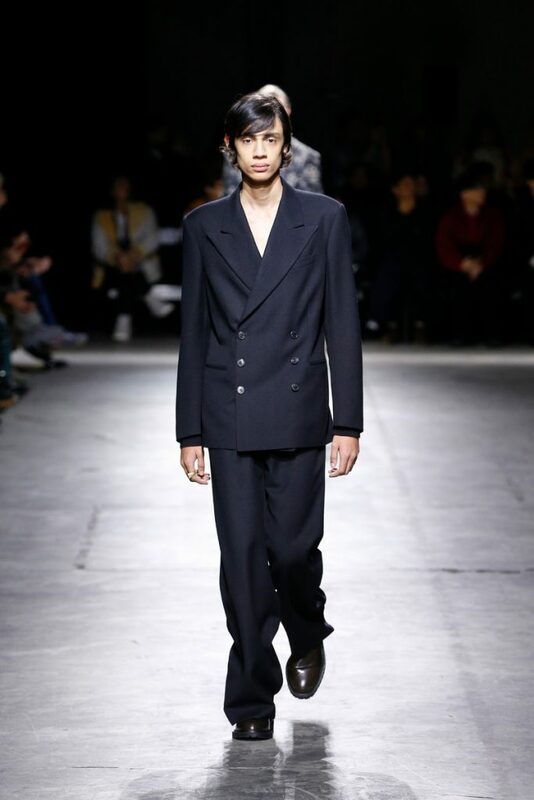 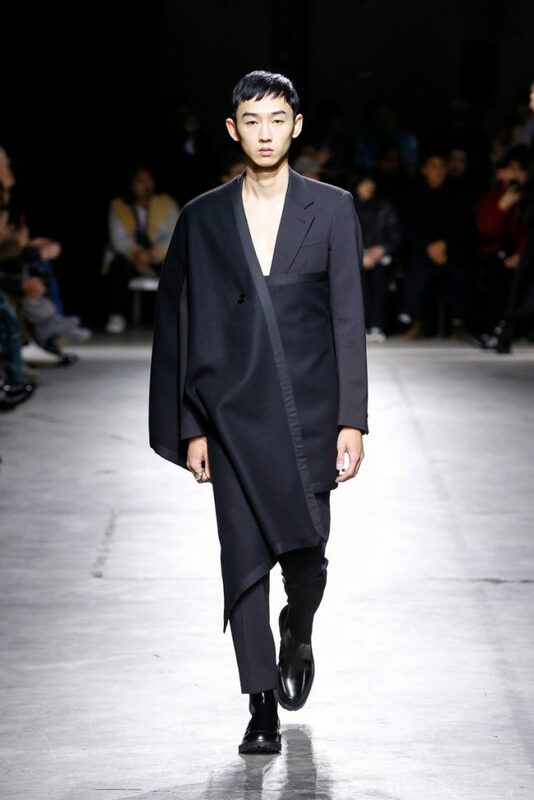 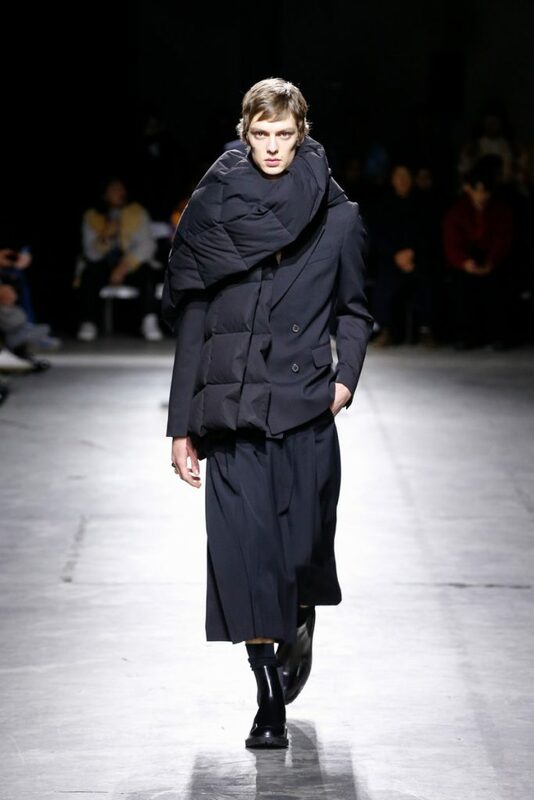 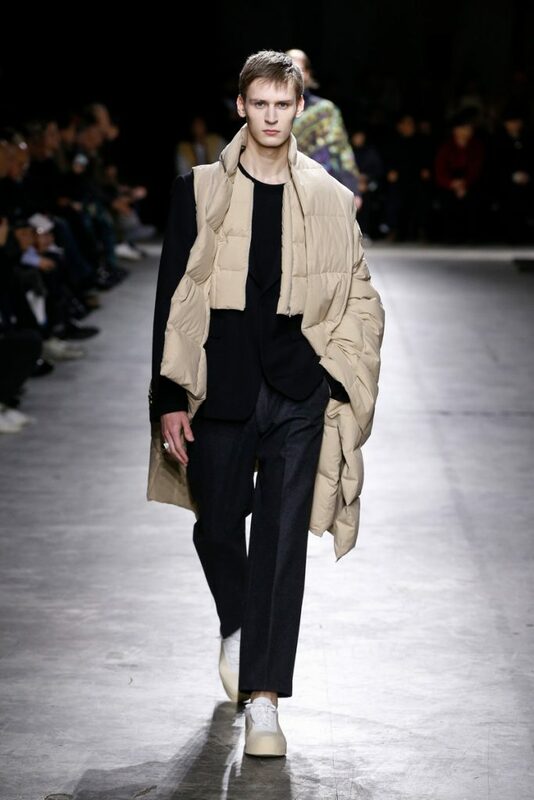 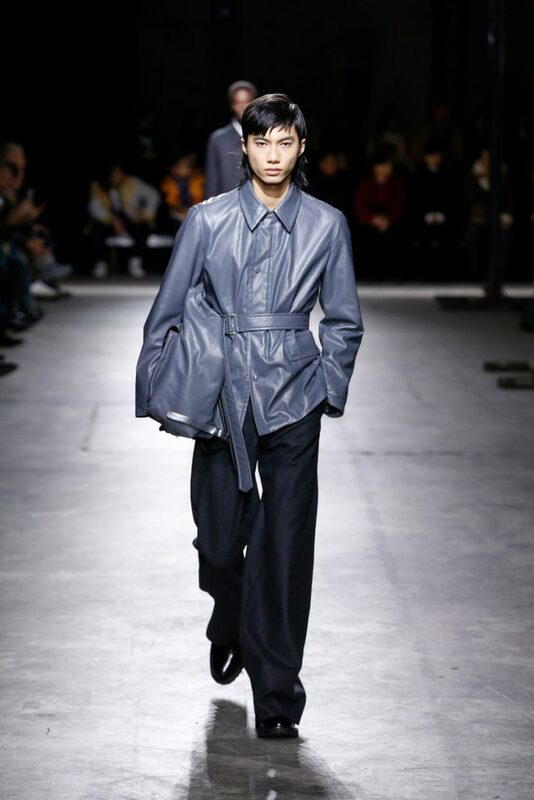 Suits with oversized double breasted jackets (those roomy jackets are going to be a major fw2019 trend). 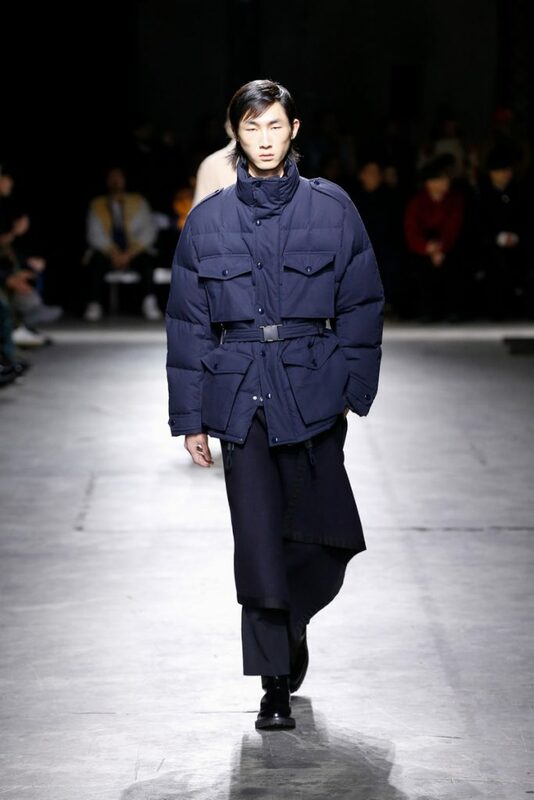 Jackets and coats (and even a navy puffer) were worn with waist belts. 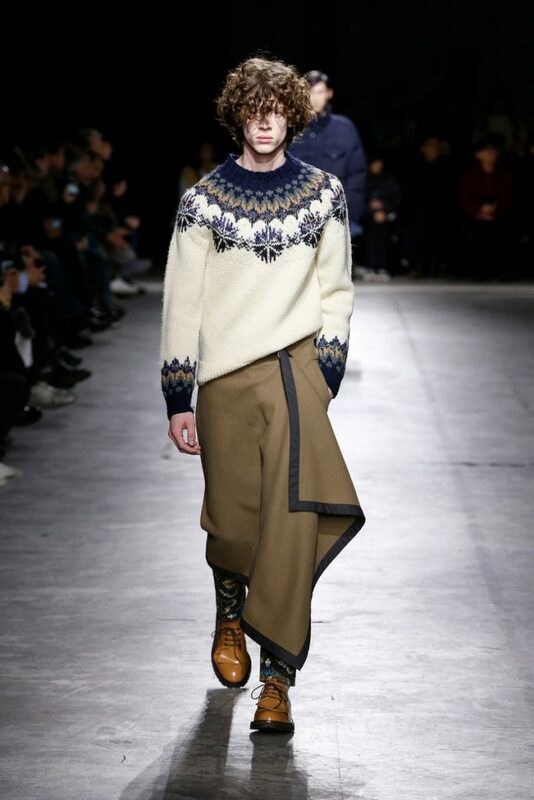 The collection felt retro and modern at the same time. 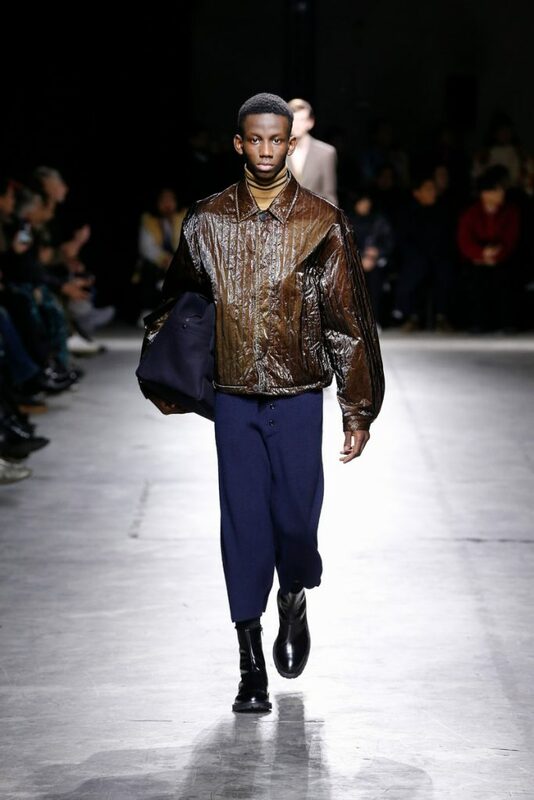 Dries his message for fw2019? 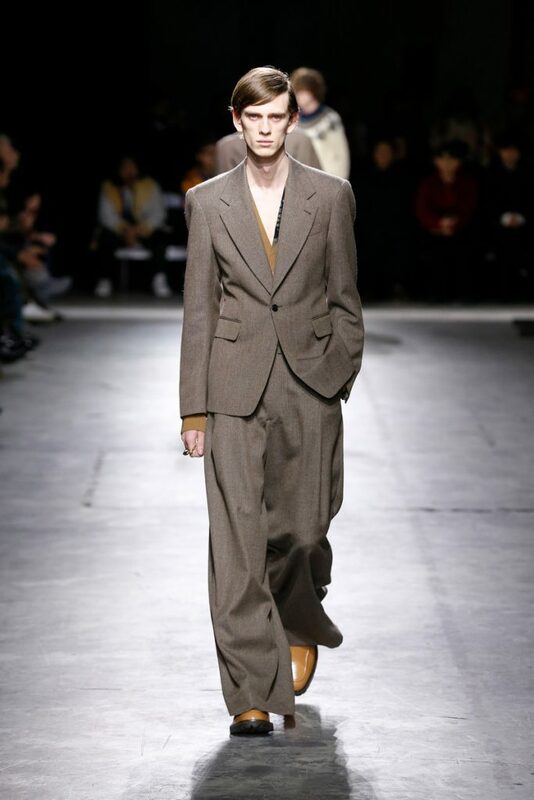 Dress up and dress your part. 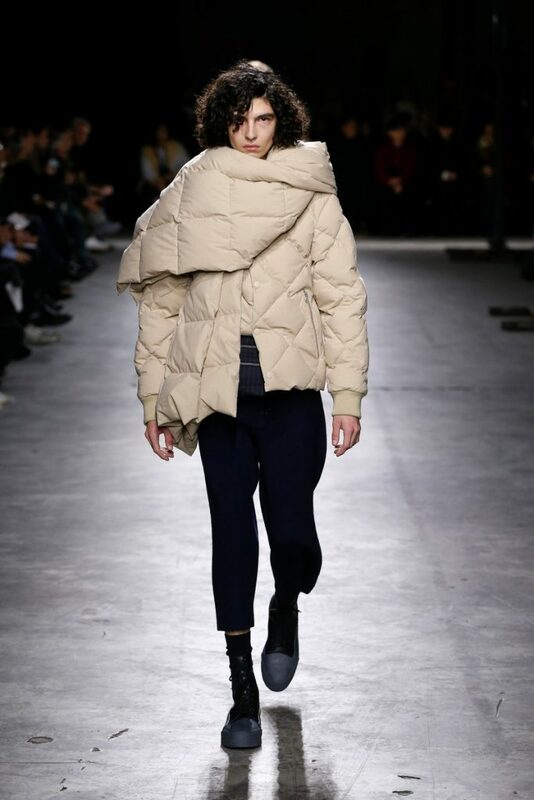 Even if your world’s a mess look like you’ve got it together.